With the upcoming recruitment season in 2019 approaching, career planning becomes one of the biggest challenges that Year-3 and 4 students have to face. Among those popular job opportunities, civil servant gets the highest votes. 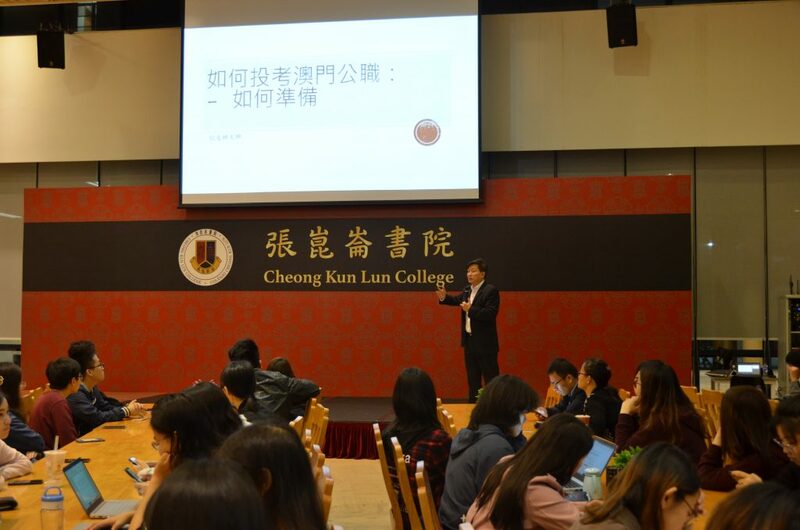 To understand more on getting a place in such popular job, the Alumni and Development Office (ADO) invited alumnus Sio Su Heong (Class of 2006, ML in Juridical-Political Sciences) to visit Cheong Kun Lun College (CKLC) for a talk on “How to Prepare and Apply for Macau Civil Servant” on 19 February. He introduced different channels in applying for jobs and preparation for taking examinations. Over 80 CKLC students attended the talk. 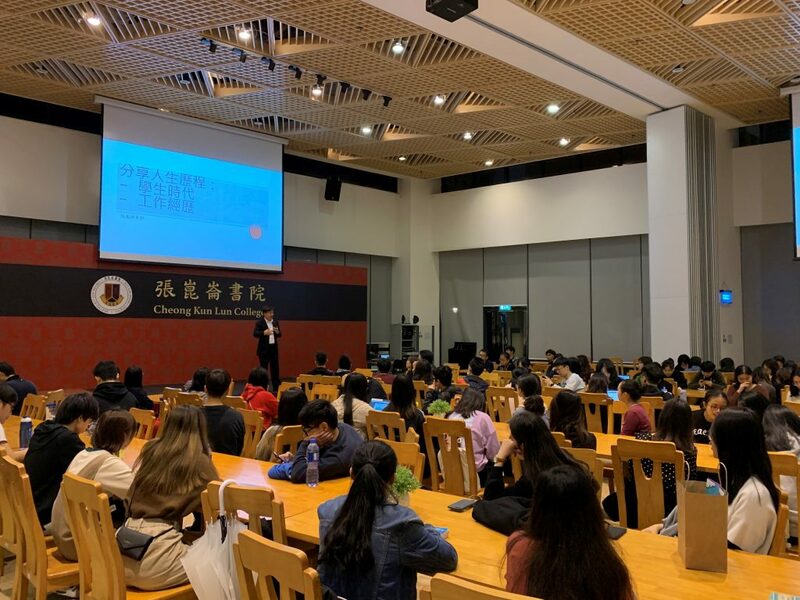 Alumnus Sio briefly introduced the different types of career schemes of working in public services , job requirement and the channels of obtaining notification for job vacancy and examinations. In addition, he shared the tips on improving chance of getting through job interviews. Alumnus Sio also shared his story of being college students and working experience. 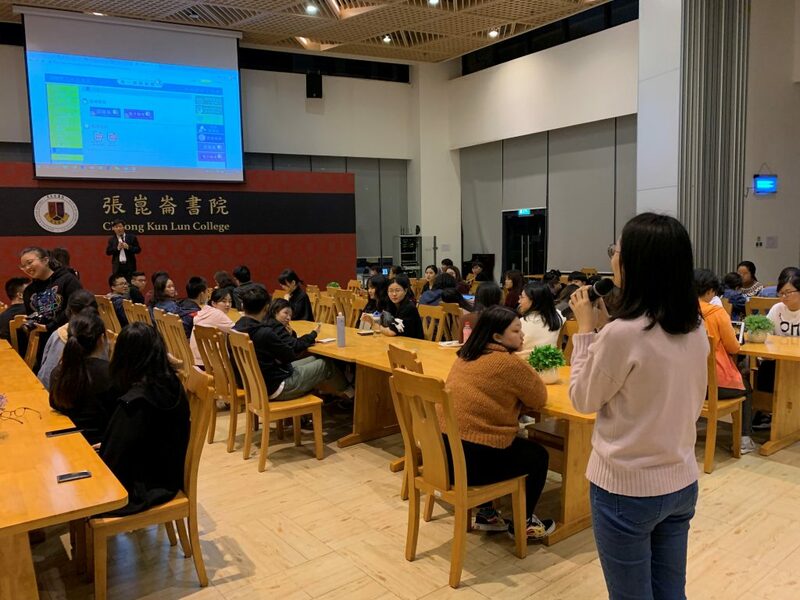 He said there was limited choices and resources for further study during his student life, so he worked in public sector after his high school education. However, he never gave up any chance to further his studies so he applied the law program in UM. He was the first batch of graduates for Law in Chinese Language offered by the Faculty of Law. 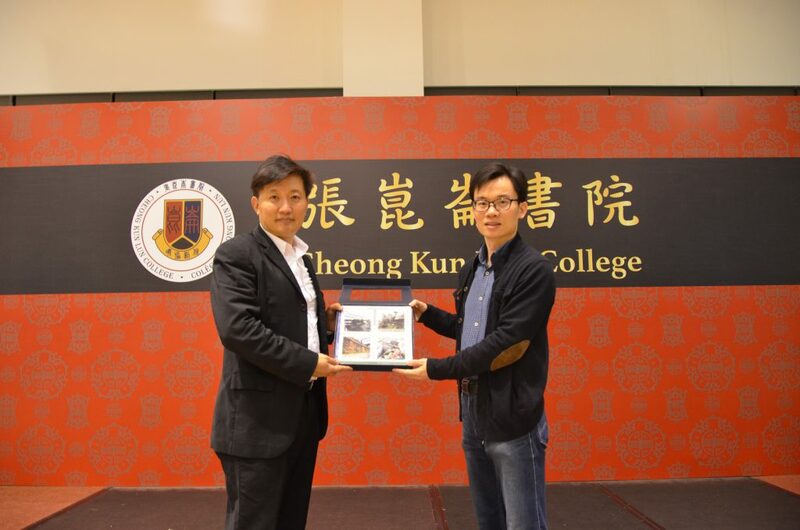 At the end of the talk, he advised students to cherish education at the university and enjoy campus life. 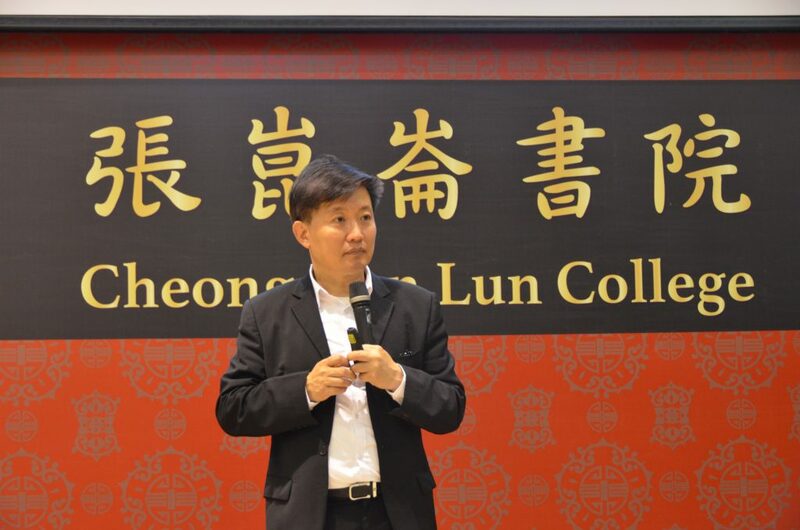 Alumnus Sio Su Heong obtained a Bachelor’s degree of Law in Chinese Language and Master’s degree of Juridical-Political Sciences from the Faculty of Law of the University of Macao in 2001 & 2006 respectively. He processes rich experience in public administration and teaching in respective area. He is currently the legal consultant in law firm, trainer of the Public Administration and Civil Service Bureau (SAFP) and the Centre for Continuing Education (CCE) of the University of Macau, and the General Manager of Macaumetiz Consultadoria Profissional. 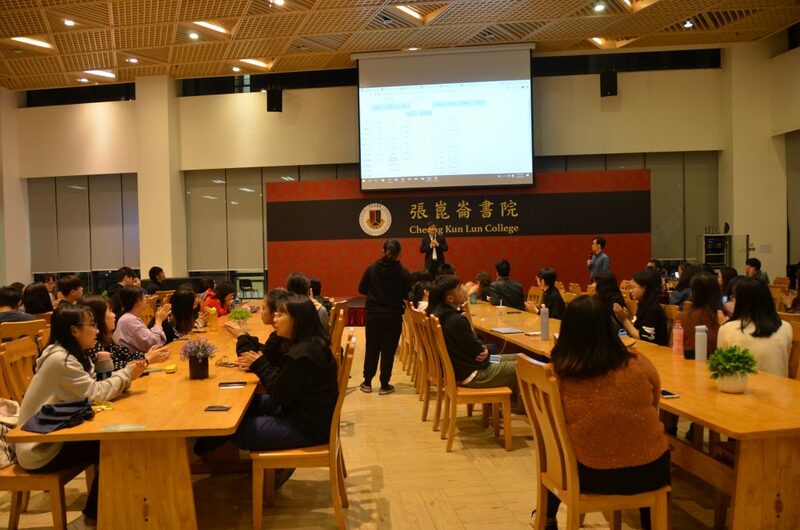 He is also the Vice-Chairman of the University of Macau Alumni Association, the President of Association of Legal and Political Research of Macau Public Servants and the Chairman as well as the president of the Association of Civil and Commercial Laws Research of Macau,etc.